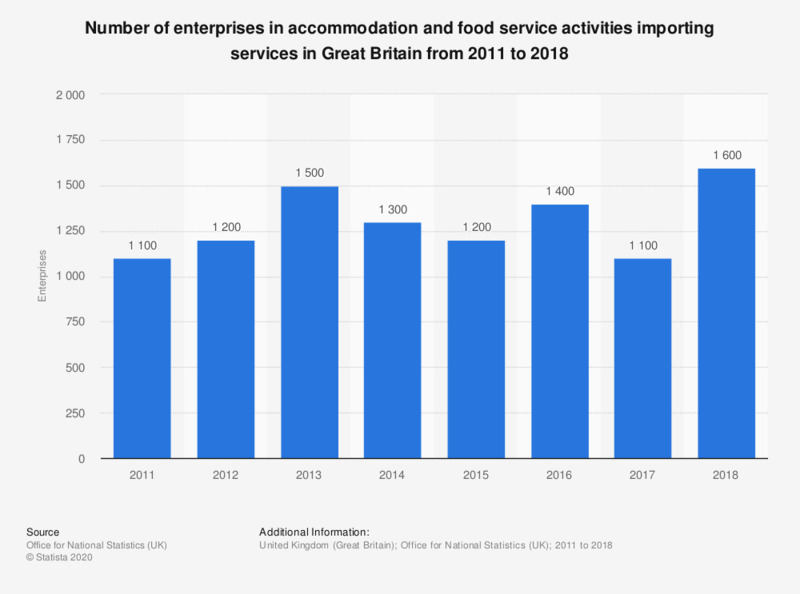 This statistic shows the number of enterprises in accommodation and food service activities importing services in Great Britain from 2011 to 2017. The number increased steadily between 2011 and 2017. The increase was sharpest in 2013 when the number peaked at 1,500 enterprises.